In 1920, Dropsie College in Philadelphia -- actually a unique institution for graduate studies in Jewish and related subjects - - purchased for $100 some Hebrew manuscript fragments from the recently widowed wife of a Dr. Camden Cobern of Allegheny College in western Pennsylvania, as part of a drive to enhance Dropsie's growing collection of Jewish materials from the famous Cairo Geniza. 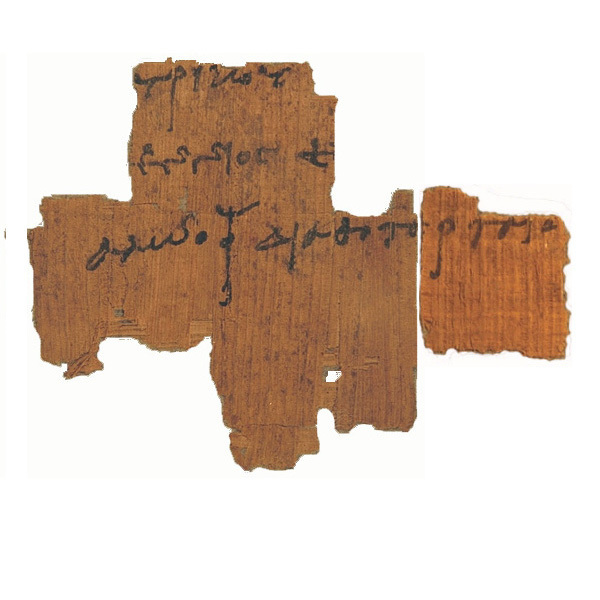 Along with the desired Geniza pieces, but virtually unnoticed in the surviving records, came some "papyri" -- although there seems to be no information on how many or of what sort. That Cobern would have had papyri in his collection should occasion no surprise; he was the honorary regional secretary for the Egyptian Exploration Society for a number of years, and had visited Petrie at Gurob and Hawara in 1889/90, had been with Petrie again briefly in 1897, and had dug Ibises and Jackals at Abydos in 1912/13. 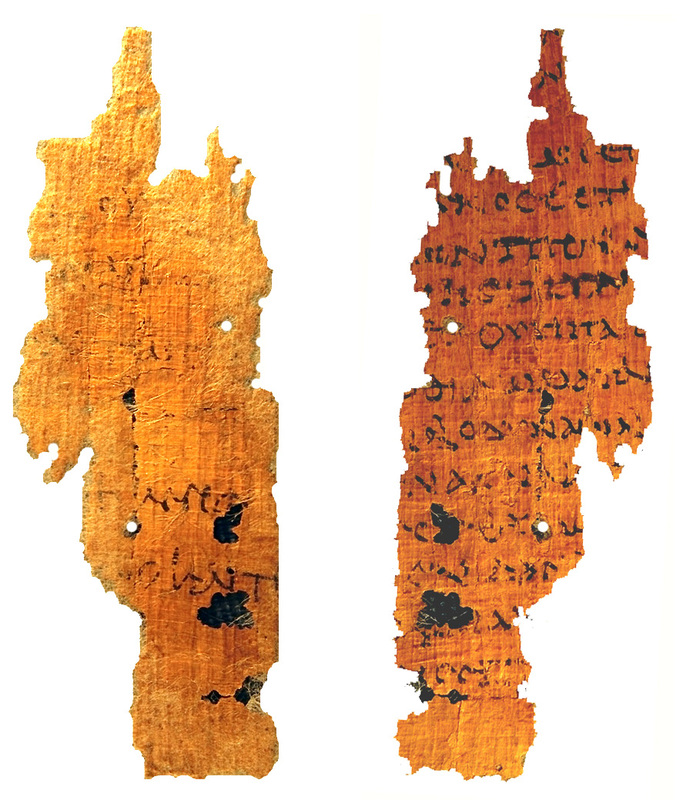 Cobern's oft reprinted magnum opus on The New Archaeological Discoveries (1917, 1929\9) makes frequent reference to his travels and to his occasional acquisition of antiquities, including some papyri from the 1912/13 trip, and even contains photographs of two unpublished Coptic papyri, although these pieces are not to be found in the present Dropsie collection. 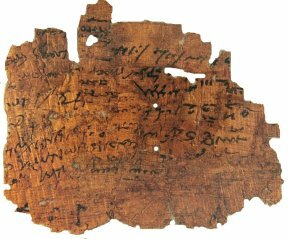 Despite the fact that in 1925 Dropsie hired an experienced, if somewhat eccentric, Austrian Jewish Egyptologist in the person of Nathaniel Reich, there is no evidence that Reich ever paid any attention to the Cobern papyri. 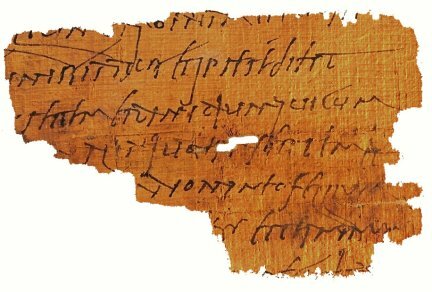 Possibly this was because those papyri were mostly Greek, and Reich's specialty was Demotic; it is also possible that tensions between Reich and Dropsie's librarian Joseph Reider, who held the keys to the papyri and himself worked with Greek materials, may have been a factor. In any event, the papyri had no obvious relevance for "Jewish studies" so they languished as an unnamed orphan group in the Dropsie Geniza collection. 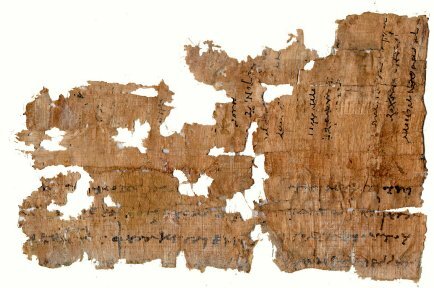 Reich himself was offered three small clumps of papyri cartonnage by a dealer in 1928, which he purchased for $22 and presumably left to the Dropsie collection when he died in 1943. 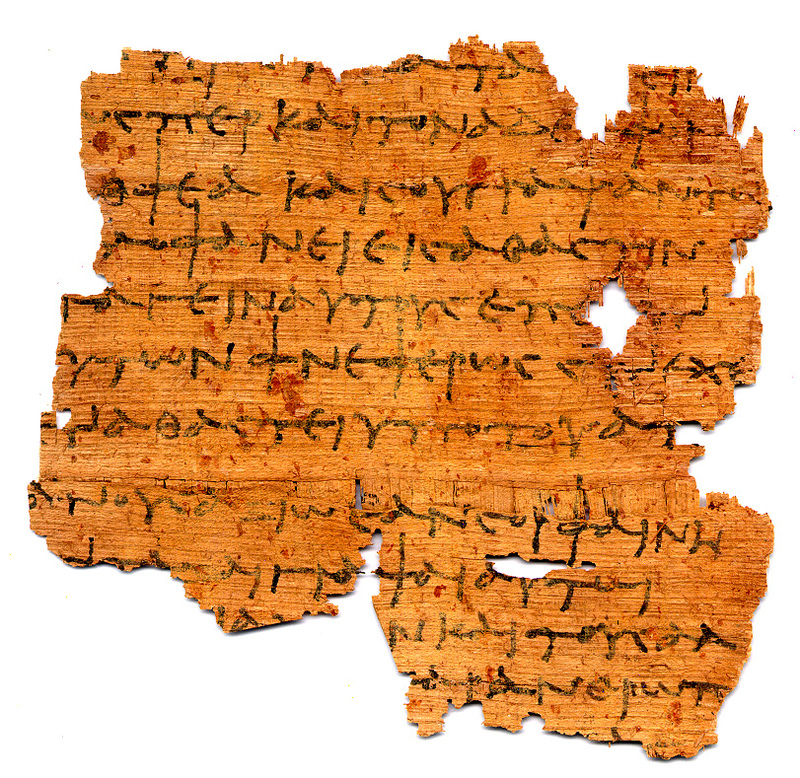 There is no evidence that he did more than a cursory description of these materials in connection with their purchase, although he does mention the presence of Demotic on at least one of the clumps. He conjectures that all three remnants may have once been joined, and he dates them to the first two centuries of the common era. "It looks to me," he concludes, "without having as yet studied them thoroughly, that the texts are not of particularly great importance." As for separating off the various layers of the cartonnage, Reich believed that "it would not pay scientifically to take the trouble with this particular object." 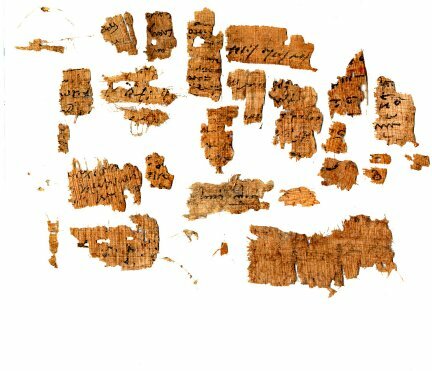 Most of these materials -- the Cobern papyri plus (some of) the Reich pieces -- first emerged visibly into recorded history when Dropsie had microfilms made of their Geniza Collection in the 1960s. Then in 1982-84, with the help of a preservation grant from the Pew Foundation, the entire Geniza collection including the papyri were given professional treatment (and were rephotographed in color) by a local Philadelphia company and the smaller pieces were mounted/encased in mylar. This included a Coptic codex in rather poor condition that was not mentioned or photographed in the earlier records, and strangely did not include "Reich Papyrus #1" (actually at least 3 layers) which may have been stored separately from the Geniza materials and which may or may not have been extracted from the aforementioned purchase by Reich. It includes, indeed, one of the better preserved Greek pieces, a Ptolemaic letter (see below). 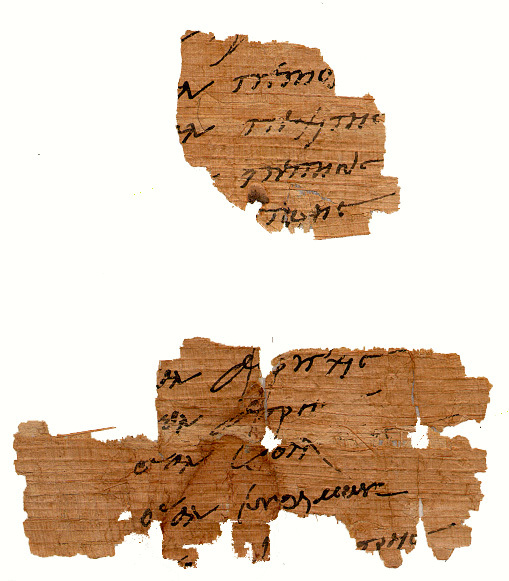 In 1992, David Goldenberg, former Dean of Dropsie and now Associate Director of what had become transformed into the Annenberg Research Institute and would soon become the Center for Judaic Studies at the University of Pennsylvania, wrote to Roger Bagnall to see if a younger papyrologist might be available to help inventory the collection. Bagnall mentioned this to Jenni Sheridan, who was at that time teaching in Philadelphia. Coincidentally, at around the same time my graduate students were looking for an unusual way to honor my 60th birthday by digitizing on CD-ROM and working on some local collection of papyri. The two interests came together, and in 1994 I was presented with a draft catalog and 3 CD-ROMs full of electronic pictures of the collection (plus photographic prints as well, thanks especially to the efforts of Alan Humm and Ken Banner) in a successful surprise ceremony. This, of course, awakened in me mildly proprietary feelings towards this CJS collection and I spent part of my subsequent sabbatical pouring through the records at CJS in an attempt to determine how these materials had been acquired. You are experiencing some of the results of that quest. Jenni Sheridan and the students, coordinated by Kass Evans, prepared a preliminary inventory of the collection and identified 74 Greek fragments plus a smattering of Demotic, Coptic, Latin and Arabic (some Hebrew pieces had also been mounted with the papyri, but have a different background) -- about 120 pieces in all. In spring term of 1994, Jenni also taught a small seminar on basic papyrology which I was privileged to attend. 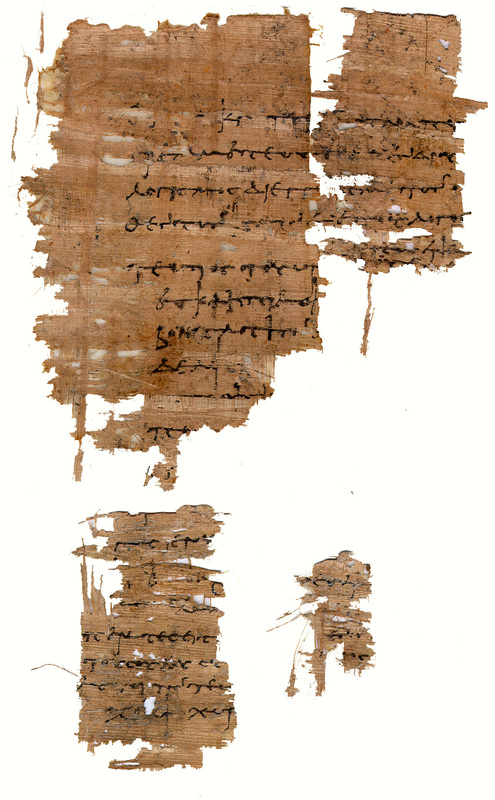 The seminar participants worked in teams on several of the CJS papyri, with varying results. With the help of the TLG computer files, I was able to identify a small fragment of Homer's Odyssey, but no other literary pieces emerged. 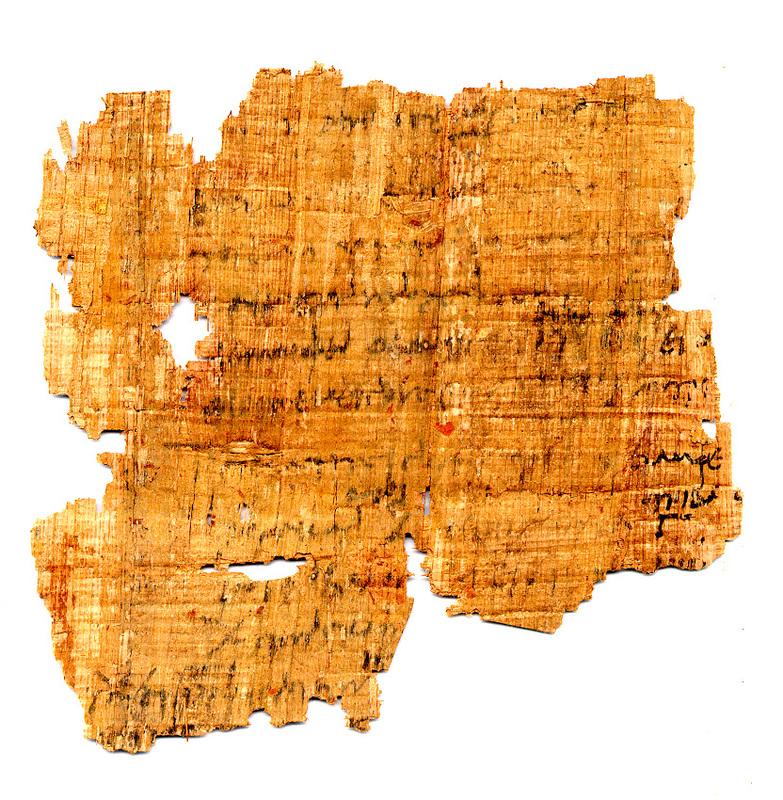 The piece assigned in the seminar to Sigrid Peterson and myself turned out to be a Ptolemaic economic document from which, as Sigrid suspected and I was able to confirm on my sabbatical, there was at least one other fragment elsewhere in the collection. Sigrid Peterson also identified one of the more challenging fragments as Latin, although we made little headway in deciphering it with any confidence in detail. 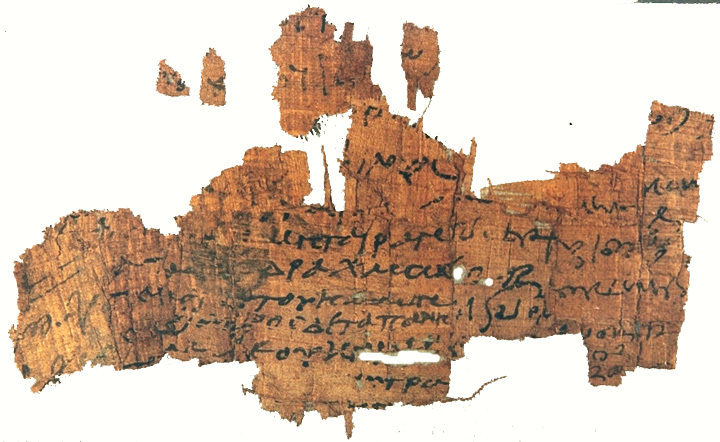 Other seminar participants struggled with what appeared to be a selection of contracts, letters, and the like -- the usual cross-section of Greek documentary papyri -- highly fragmentary and often seemingly illegible, but an excellent basis for learning papyrology from the ground up! During my 1995/96 sabbatical, I spent many happy hours attempting to identify more joins between the actual fragments -- joins that were virtually impossible to see from the photos, with their different scales, hues, and lack of tactile textures. I enjoy doing jigsaw puzzles. The CJS staff gave me virtually a free hand to unmount the fragments from their mylar encasement when appropriate, and to rejoin pieces that had become separated over the years. In the process, I discovered that the preservation experts who had treated and mounted the papyri in 1982-84 were clearly not experienced in this type of material -- or perhaps were in too much of a hurry at times. Not only was I frustrated by being unable to work with the blank surfaces of fragments inscribed on only one side, since the preservation people had often attached such fragments to Japanese paper thus obscuring the blank side, but I found numerous fragments that included two or more adhering layers that needed further separation. In some instances, the multi-layered pieces had also been mounted on Japanese paper, and although that process should have been easily reversible, in reality it was not. 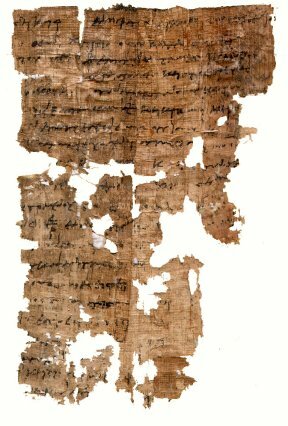 I actually had a good deal of experience with separating and flattening papyri, since I had worked on the larger, if equally little known, collection of papyri at the University of Pennsylvania Museum some 25 years earlier. So I set up a laboratory of sorts, and went to work. 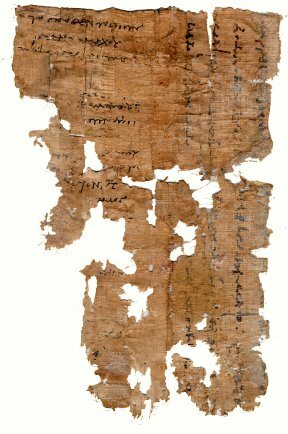 Almost all of the papyri that had been mounted on Japanese paper had to be unmounted -- a rather delicate and time consuming task, but a rewarding one as well. Liberal use of the xerox machine, and of a VCR camera mounted to peer over my shoulder, assisted the job of step by step recording of the process. 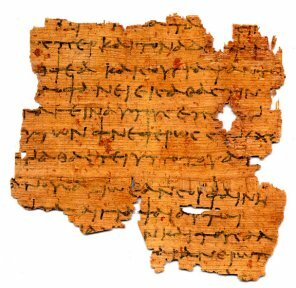 There were some pleasant surprises, such as the ability to recreate the position of the previously mentioned Ptolemaic fragments before they had been crudely wrenched apart, presumably in modern times, leaving evidence of "mirror writing" from the face of one piece to the face of another. Computer techniques are very helpful with "mirror writing" and similar visual phenomena. There were also some intriguingly frustrating situations, such as what initially appeared to be a single fragment of various "doodles" producing some 19 separate pieces that had been glued together (I assume) at some point in antiquity (I think), if not by a modern dealer seeking to enhance the value of his mutilated goods. My concept of cartonnage did not prepare me for such conglomerates, which I propose to call "collages." 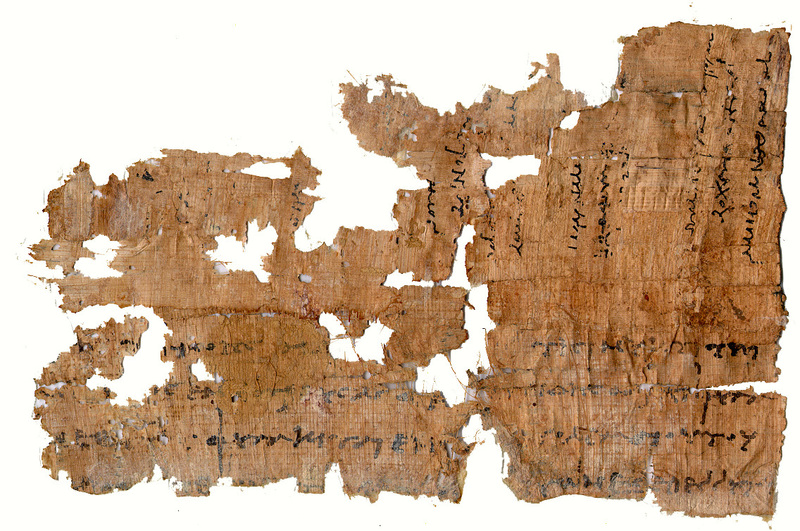 The net result of the unmounting, rejoining, and remounting is that the collection now numbers about 140 papyri pieces, some of them smaller than a postage stamp, of which 80% or more are in Greek. Although we are considerably behind the originally suggested schedule for publication, the team (now including myself!) still expects to produce a more refined inventory/catalog of these materials with full treatment of the most decipherable pieces. We have permission to make the digitized images available on the InterNet and will do so as the project develops into its final stages. Here are some examples, as a sort of progress report. 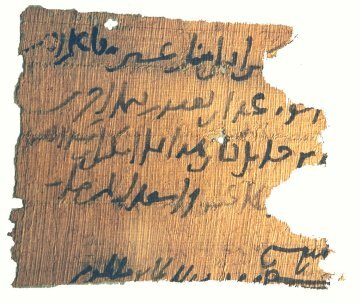 Small Ptolemaic Fragment Economic text? soldier list: Aurelios + names?